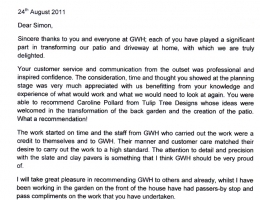 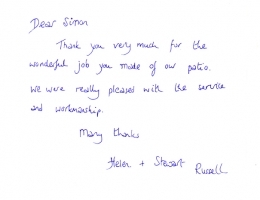 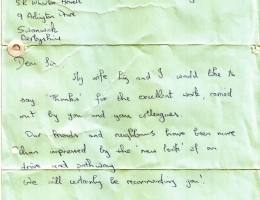 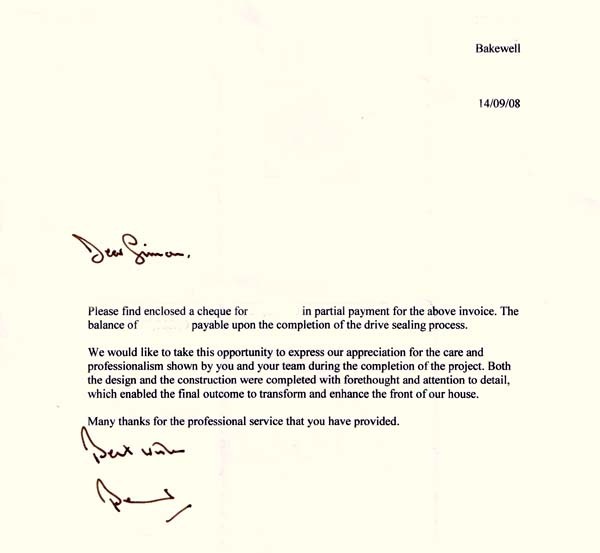 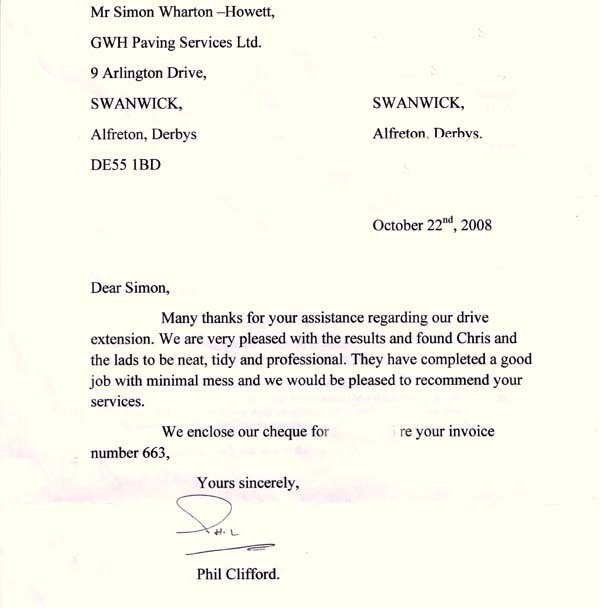 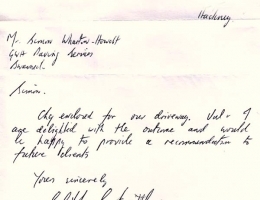 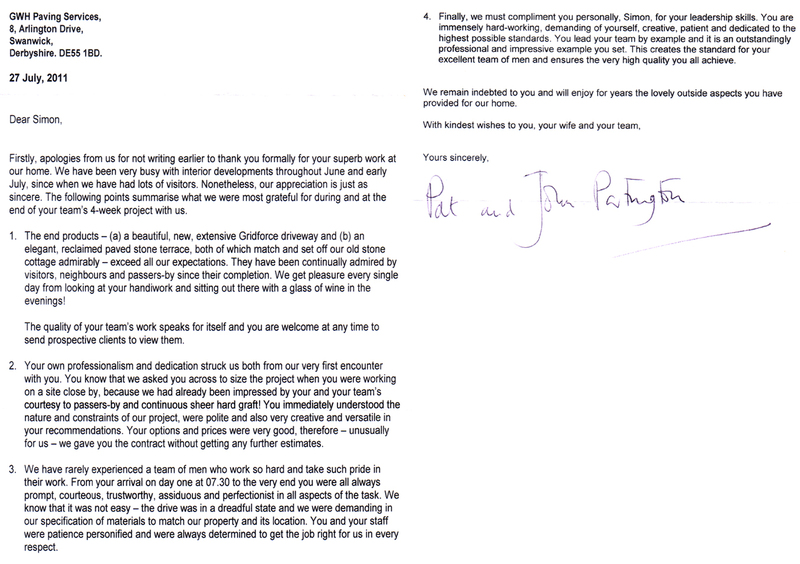 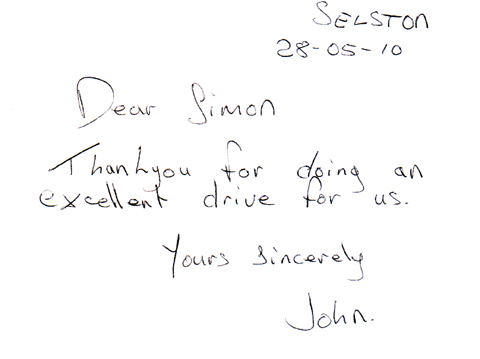 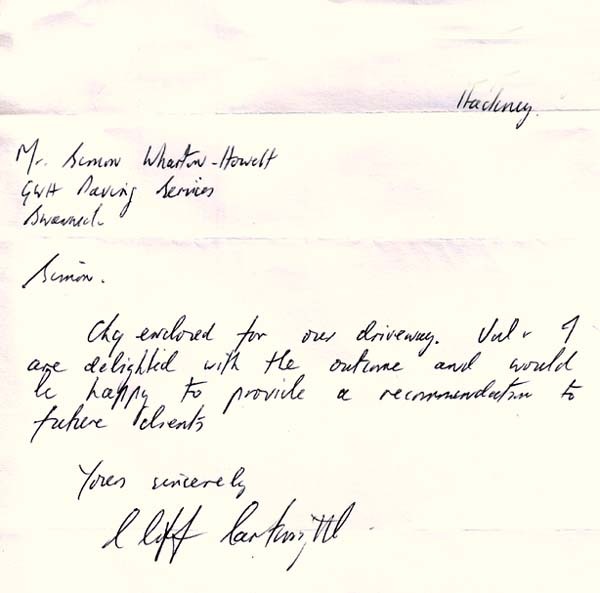 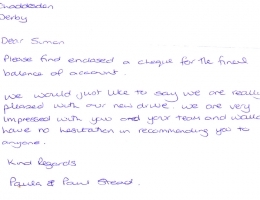 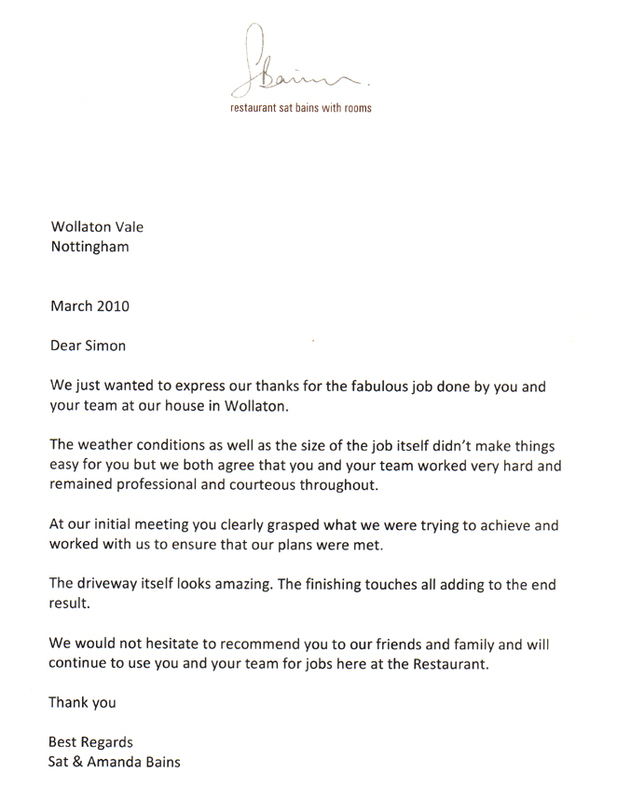 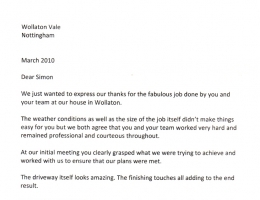 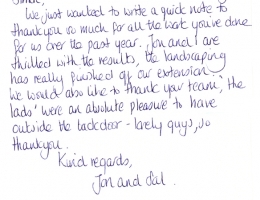 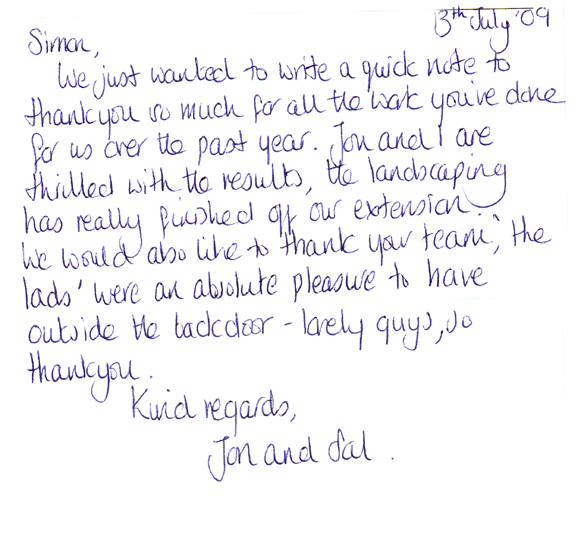 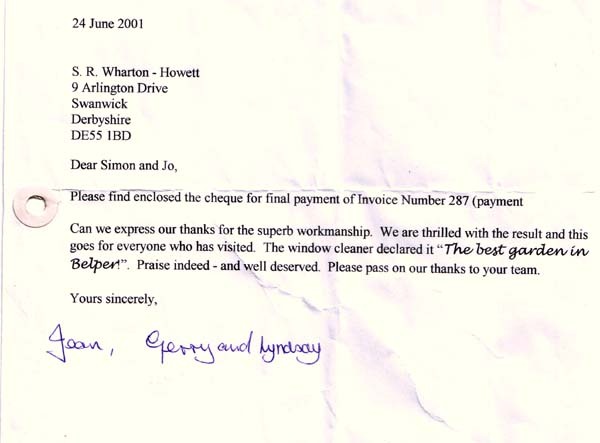 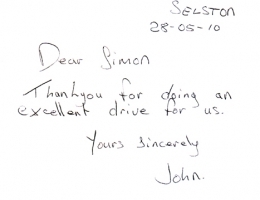 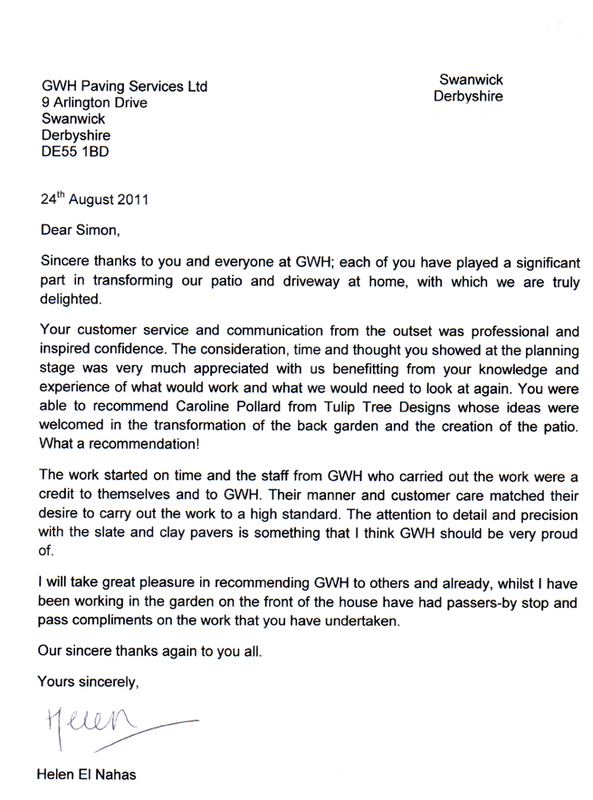 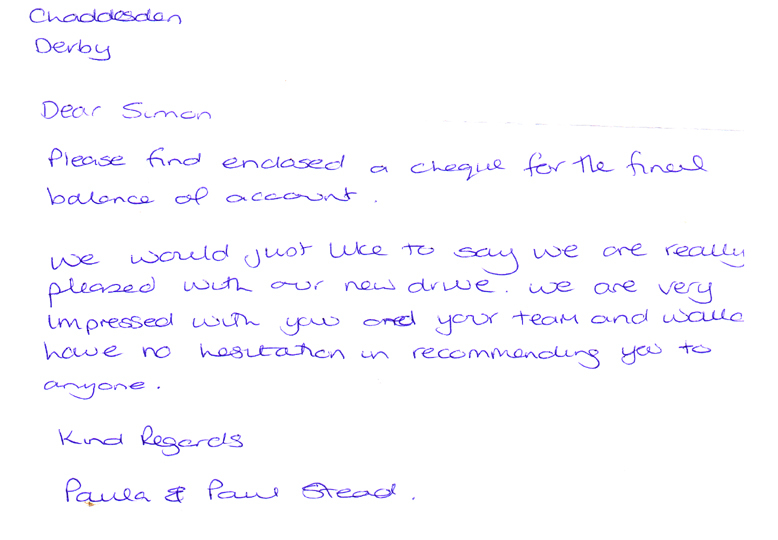 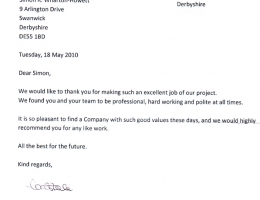 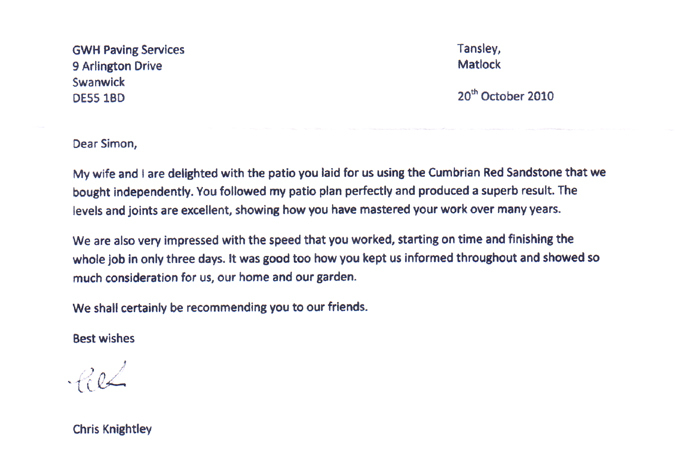 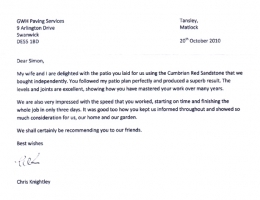 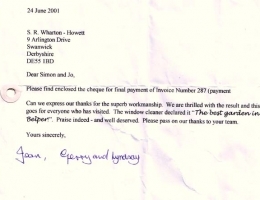 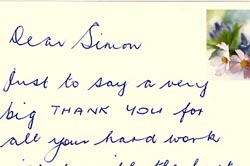 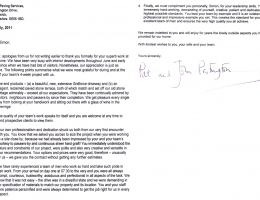 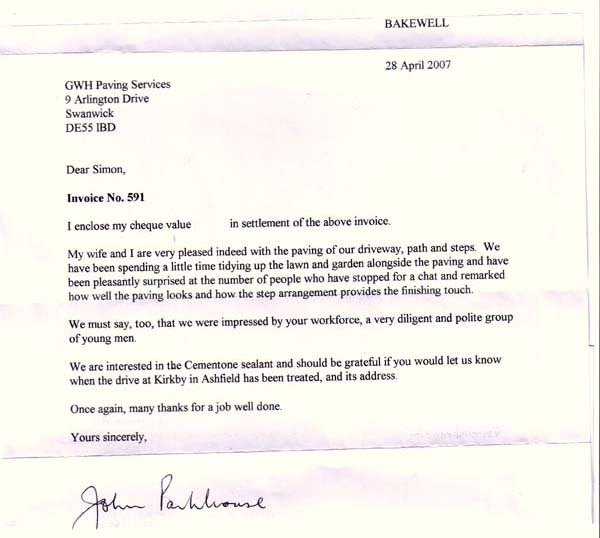 At GWH we are proud of our work and strive to do the best job possible of our clients, as a result of this hard work, we receive many thank you letters from our customer’s expressing their thanks for a great job well done. 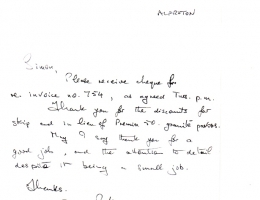 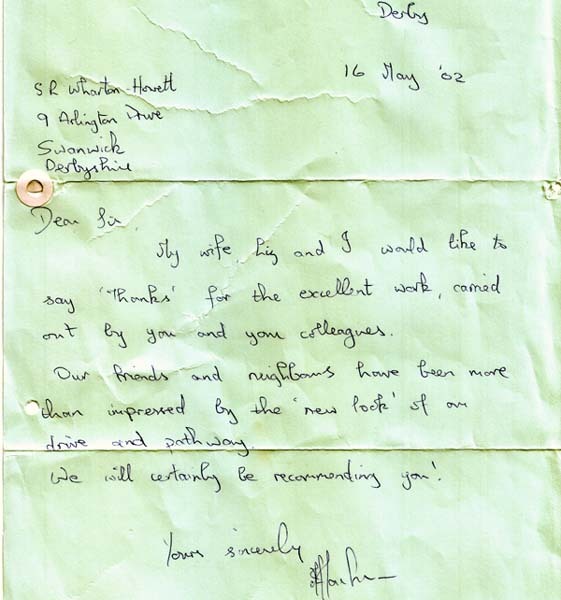 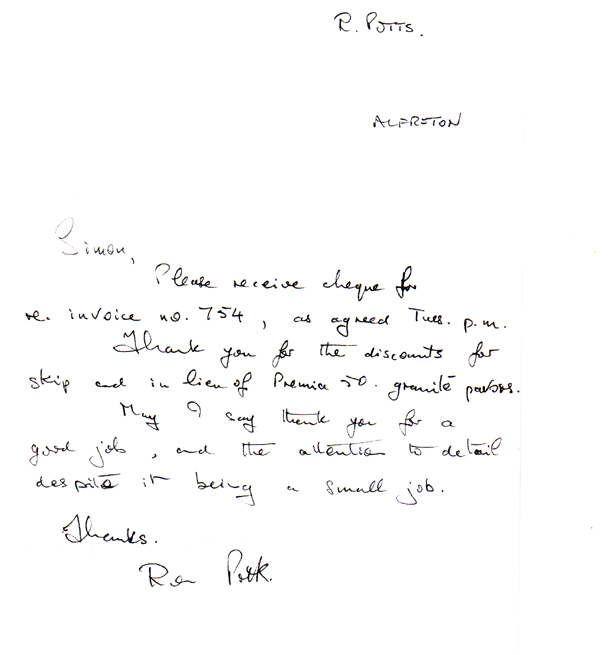 The gallery below is just a few of those letters, where possible, we have added a scan of the actual letter sent by the customer, typed ones are from thank you emails. 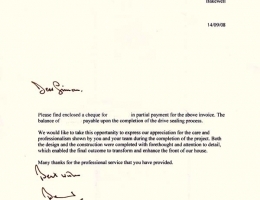 Customer addresses and value of the project has been removed to protect customer privacy. 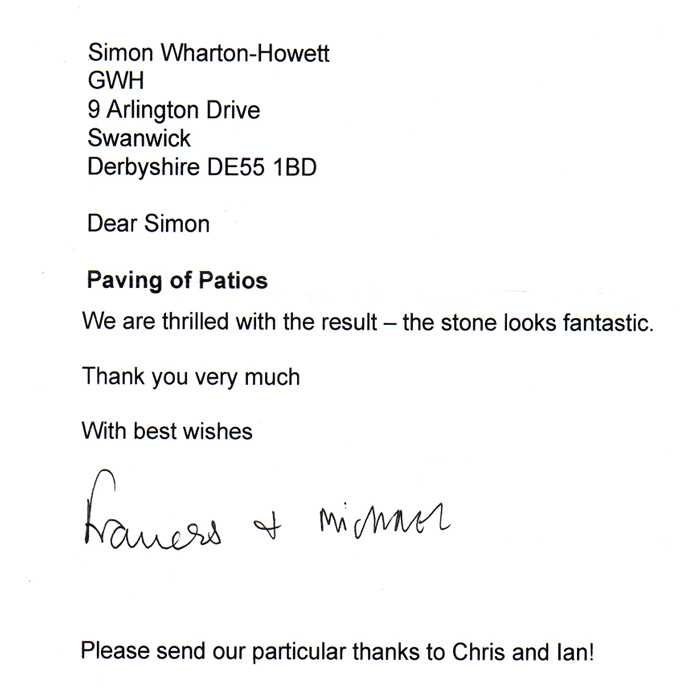 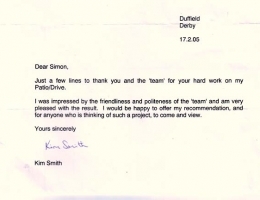 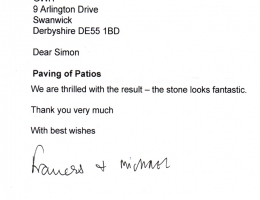 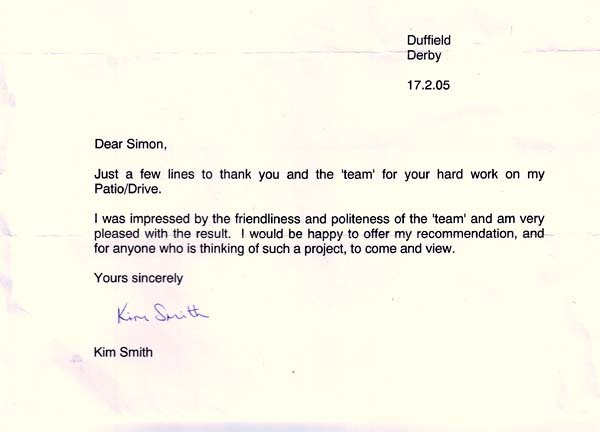 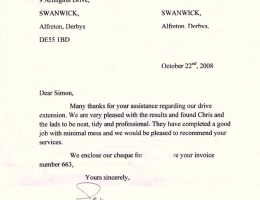 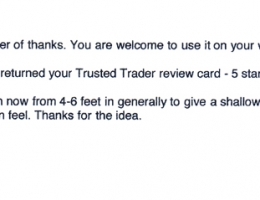 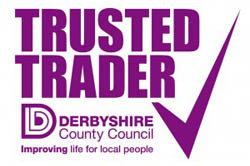 Click on any image see our actual customer letters or visit Derbyshire Trusted Trader website to see all of our latest reviews from clients.